George Derek Musgrove ’97, associate professor of history, launched his new book Chocolate City: A History of Race and Democracy in the Nation’s Capital, University of North Carolina Press, with co-author Chris Myers Asch at the National Museum of African American History and Culture on November 2. Top of page: George Derek Musgrove, Chris Myers Asch with moderator at the Oprah Winfrey Theatre in the National African American History and Culture Museum. While teaching the history of the District of Columbia at the University of the District Columbia (UDC), Musgrove and Asch discovered the need for an accessible and comprehensive text that tells the full history of our nation’s capital. After six years of research and writing they have produced a sweeping history of race and democracy in D.C. They argue that because of the consistent presence of a large black population, race, above and beyond other factors, has proven to be the most significant explanation for social, economic, and political divisions in the District — and as a bellwether for the country, D.C. shows how race has been the central fault line in American democracy. 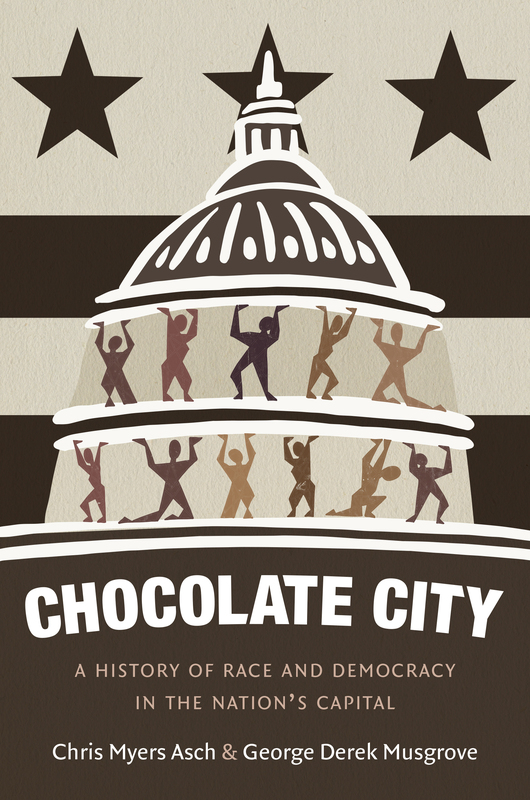 Like its namesake, the 1975 Parliament Funkadelic album Chocolate City, the book centers on the everyday people who make up the D.C. beyond Capitol Hill. It is a narrative focused on a city that is also a national stage. Cover image courtesy of George Derek Musgrove. 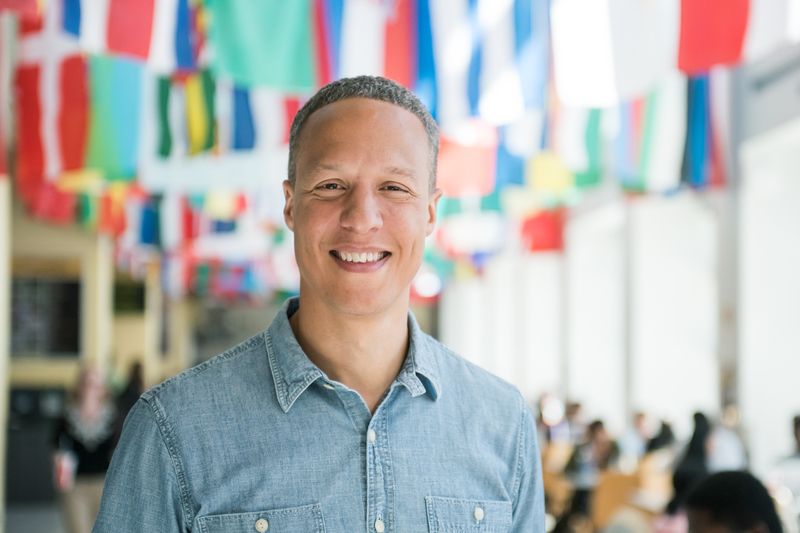 For Musgrove, D.C. history includes the successful strivers but also the working people. It is the story of its more famous citizens like Mary Church Terrell and Walter Fauntroy, but also of welfare moms who create housing cooperatives, the struggles and triumphs of Irish immigrants in the mid-19th century, and the black elites of the Jazz Age. In the process of weaving a national and local story, Musgrove and Asch realized two things: first, that D.C. history tells a unique story about American democracy by having the distinction of being the only city that is run by Congress and, second, how race influences this mode of governance. Musgrove and Asch draw on this vast documented history of the city and present the stories for a mass audience in one place with the hope that it will allow professors to engage new students of D.C. history, provide context for activists fighting gentrification, and help members of the neighborhoods continue to actively discuss their city’s history. Banner image: George Derek Musgrove, Chris Myers Asch with moderator at the Oprah Winfrey Theatre in the National African American History and Culture Museum. Photo by Marlayna Demond ’11 for UMBC.